Tickets to the show range in price from $28.00 to $40.00 and are available by calling the Gracie Theatre box office at 207-941-7888 or going to the theatre’s website at gracietheatre.com. This musical is the third show in the Gracie Theatre’s season sponsored by Bangor Savings Bank. The performance pays homage to the many legendary folk musicians who made this traditional musical-style popular. Songs performed by Lonesome Traveler include favorites written by Pete Seeger, Lead Belly, Woody Guthrie, Joan Baez, The Carter Family, The Weavers, The Kingston Trio, The Limeliters, Gordon Lightfoot, Peter Paul & Mary, Bob Dylan, The Byrds, Buffalo Springfield, Crosby, Stills and Nash, Joni Mitchell, and Simon & Garfunkel. This unforgettable concert will feature patriotic songs, church hymns, union anthems, songs of protest, and multi-media projections that take us from the 1920s to the 1970s. Lovers of folk music will be transported from the front porches of Appalachia to the nightclubs of San Francisco and New York. Folk classics from the festival stages of Newport to the sound stages of Los Angeles will all be a part of this performance. Some of the hits that the audience can expect during the concert will include “Lonesome Traveler,” “This Land is Your Land,” “This Little Light of Mine,” “Blowin’ in the Wind,” “If I Had a Hammer,” “Goodnight Irene,” “Tom Dooley,” “Puff, the Magic Dragon,” “Turn, Turn, Turn,” “The Times They are a Changing,” and many others. This stirring concert is based on the acclaimed off-Broadway musical that received Drama Desk and Outer Circle Critics nominations. Lonesome Traveler previously played to packed houses in New York and California. The show was created by NAACP Award-winner James O’Neil and Tony nominee Dan Wheetman. Orchestrations are by Grammy Award-winner George Grove of The Kingston Trio. Lonesome Traveler shattered box office records and won multiple awards in its acclaimed premiere at Rubicon Theatre in California. The Gracie’s season is made possible with support from Bangor Savings Bank. The theatre gratefully acknowledges the generous support provided throughout the season by additional show sponsors including: Downeast Toyota, The Dead River Company, WBRC Architects and Engineers, The Bangor Daily News, and The Maine Edge. 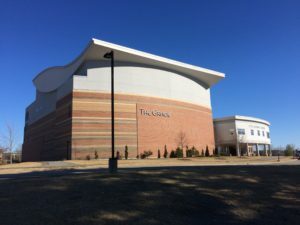 Completed in October of 2009, the Gracie is Husson University’s center for the fine and performing arts. This beautiful 500-seat theatre is quickly earning a reputation as one of Maine’s premier performance venues. In addition, the Gracie also serves as a learning platform for students from the New England School of Communications in digital audio, sound mixing, set design and construction, lighting, acting and electronics. 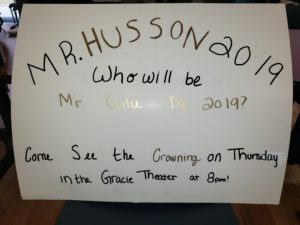 For more information, visit GracieTheatre.com. For more than 100 years, Husson University has prepared future leaders to handle the challenges of tomorrow through innovative undergraduate and graduate degrees. With a commitment to delivering affordable classroom, online and experiential learning opportunities, Husson University has come to represent superior value in higher education. Our Bangor campus and off-campus satellite education centers in Southern Maine, Wells and Northern Maine provide advanced knowledge in business; health and education; pharmacy studies; science and humanities; as well as communication. In addition, Husson University has a robust adult learning program. For more information about educational opportunities that can lead to personal and professional success, visit Husson.edu.